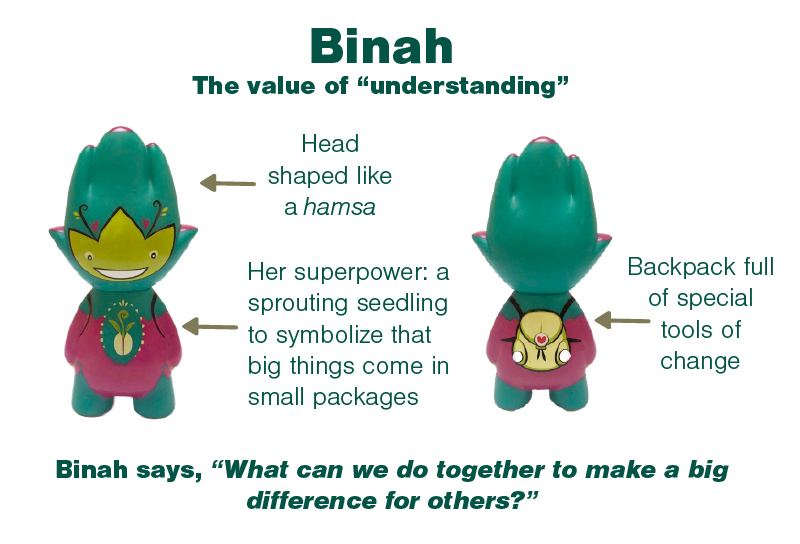 Join us in making toys that instill lifelong Jewish values in our children. Do you remember how you discovered your Jewish identity? Did it happen at home? Hebrew School? Your Bar/Bat Miztvah? Maybe you are still figuring it out. Or maybe you have a child who is going through this discovery right now! Since we are most impressionable as children, chances are that the foundation of your Jewish identity was formed as a child. Here at Yom Tov Toys, we believe that toys can be used to harness children’s imagination as means for discovering their Jewish identities. Yes, we know that there are already plenty of Jewish holiday toys. But what about Jewish identity the rest of the year? There isn’t a single cool and modern Jewish toy that isn’t holiday related. 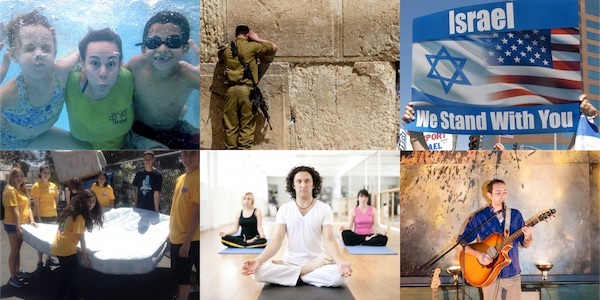 Something that incorporates Jewish values, culture and identity. We know, because we tried to buy them. So, as both parents and creatives, we got to work and created Yom Tov Toys. 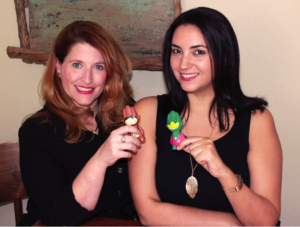 Yom Tov Toys are high quality, modern designed, Jewish value-based toys with vibrant stories. We are artists, innovators, and change-makers that believe in thinking differently and more deeply about the toys our children play with. With the help of artist and toy designer, Simon “Mudmonkey” Boses, we created our first collection of toys called Gani. Gan is the Hebrew word for garden, and the Gani live in a secret garden in the middle of the desert. Their secret garden is the most beautiful, peaceful place in the world. The Gani could stay in the comfort of their hidden utopia…but they don’t. They are drawn to go out and make the world a better place. We have had a successful first run of the design, manufacturing, and safety testing of our first two Gani friends. As of now, we have four other character designs that we need your help to produce! In addition, we would love to be able to create books to accompany each of the characters. Everyone’s interpretation of religious rituals differ but the roots of Judaism are based on universal, humanistic values. We believe that children can benefit from toys that reinforce these values. Toys stimulate imagination and get children thinking about the world around them. 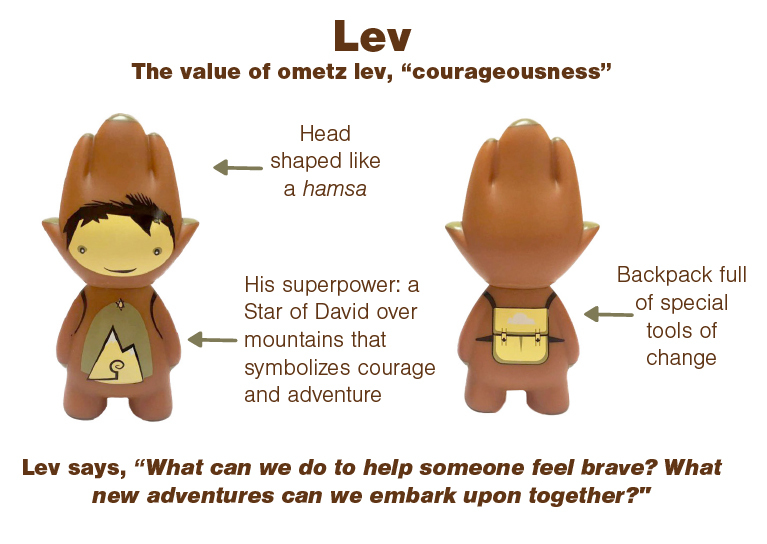 Jewish value-based toys can aid children in discovering their Jewish identity. It takes a lot of work to make quality toys that we can treasure for a lifetime, both in the tangible sense as well as the mental and emotional sense. Elana was born in Jerusalem, Israel and was raised in the Tampa Bay area. She earned a bachelor’s degree from Eckerd College in Sociology with an emphasis in consumer trends. Her career started in London and New York City as a consumer trend forecaster in the youth market, forecasting trends for companies like Adidas, Levi’s and Coty Cosmetics. Jessi was born and raised in St. Paul, Minnesota. She earned a bachelor’s degree at Columbia College, Chicago in Film with an emphasis in production and began her career working for The Producers Guild of America, Miramax and E! Entertainment in Los Angeles. Both Elana and Jessi left their fun, yet unfulfilling careers for lives and careers with meaning and purpose. They both hold director level positions in Jewish non-profit organizations and are fellows at Gratz College pursuing graduate degrees in Non-Profit Management. Elana’s 10 year old daughter, Fiona Joy, and 7 year old son, Evan, had a significant role in the creative process. Evan said, “don’t tell them exactly what the symbols mean, let them decide for themselves.” Fiona Joy drew the first Hamsa based design. Simon is the amazing sculptor who brought the Gani from concept to clay. He is a father, sculptor, toy collector and avid board game enthusiast. He was born Israel, but grew up in St. Petersburg, Florida immersed in the area’s rich and diverse art community. After earning his BFA (in General Sculptural Studies) from Maryland Institute College of Art, Simon was awarded a residency at Houston Center for Contemporary Craft in Houston, TX. His passion for sculpture and working with children naturally led to designing toys, and his involvement in projects like Yom Tov Toys. Simon currently lives in Santa Fe, New Mexico where he owns and operates Make Time, a community Maker Space that focuses on inspiring youth to use tools and technology to learn, create and innovate. With your help we can pass the final and most important test: getting these toys into the hands of children. Yom Tov Toys will inspire children to become the incredible Jewish people they are destined to be! "Congrats Jessi!!! Can't wait to meet our new friends!" "Such a cool toy, from a cool company!" "best for the new baby and my whole family and friends"
"In the garden of the Ganni, we all live together." "In honor of Elana and the gift she is giving countless families.."
"Mazel Tov and Best of luck!!!" "Mazel tov and best of luck"
"You guys rock! Love this project and am constantly inspired by you both." "Mazel Tov Elana. You are inspirational!" "Good luck on this endeavor. It seems like a nice product." "Can't wait to bring this incredible toy back to my kids"
"The toys are gorgeous! Best of luck!" "Great message for the kids." "Amazing product! Every parent and grandparent needs to buy these!" "Good luck Jessi & Elana!" "Identifying our core values is crucial to personal growth. I love the idea of facilitating values work early in development in such a fun and engaging way. There are so many creative ways that these characters could become a part of a family's tradi"
"Congratulations! Can’t wait to see what happens next!" "This donation is on behalf of FeldTech in Seminole, the VERY BEST in I.T. Services! FeldTechLLC.com"
"Ive worked with Elana and can say I am very proud to see the QUALITY of what she is bringing to this market. THIS IS A WIN! Please Share." "I have LOVED being a part of your journey and can't wait for my kiddos to get their hands on Lev and Binah! They have been begging me to get them since I started the design process. (And we aren't even Jewish!)" 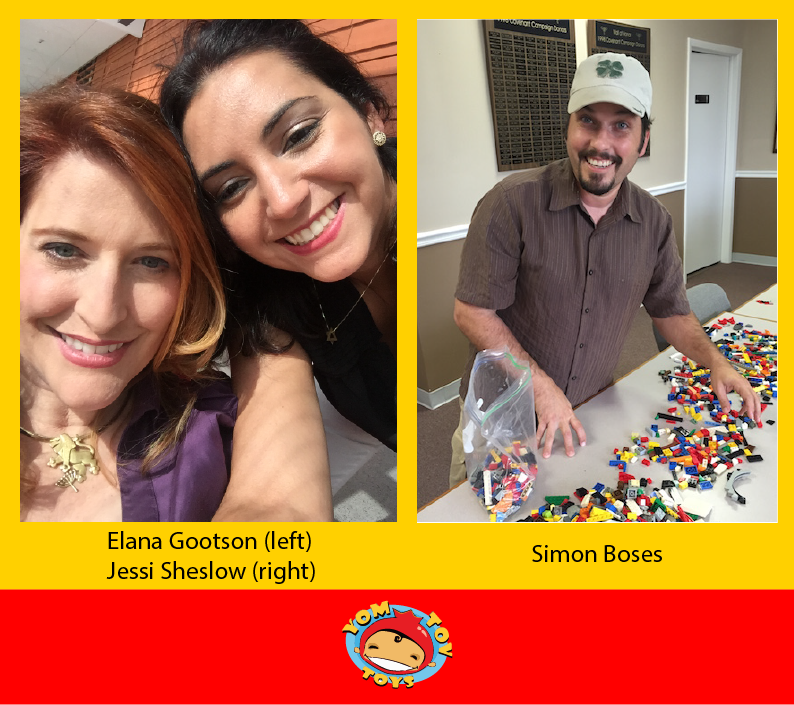 The Yom Tov Toys team is made up of Elana Gootson, Jessi Sheslow, Simon Boses, and of course, the Gani. The Gani would like you to know that they're not your average toy. And they are most definitely not your average Jewish toy. They are ENERGY, they are COMPASSION, they are ADVENTURE, they are COMPLEX. Just like your children. Just like you. And they are here to connect and open a whole new portal into our children's discovery of their Jewish identity. You LOVE what we’re creating and want to support us. We’ll put you on our list for information about future toys! Yay! Your Gani collection has officially begun! You'll be getting either Binah or Lev (our choice) very soon! Shipping cost will be calculated at the time of shipping. YUM! Just kidding, it's not an actual sandwich. But you do get both Binah and Lev + one pin! Just in time for Hanukkah! Shipping cost will be calculated at the time of shipping. WOW, we’re really verklempt with all of your support! At this level you’ll get both Binah and Lev and two pins. Now you don’t have to chose which grandchild is your favorite! PLUS the boxes will be signed by the founders, Elana & Jessi. These sets are available immediately after our campaign is fully funded. Shipping cost will be calculated at time of shipping. How are you going to schlep the four Gani toys you will receive at this level??? You will also get a fabulous children's backpack with cool patches like Binah's! Shipping cost will be calculated at time of shipping. Wooooweee! Everything in level $144, plus a framed copy of the original sketches of the Gani, signed by the artist, Simon Boses. Shipping will be calculated at time of shipping. You must know good design when you see it! ;) With your donation you can be one of three people to receive an original ceramic prototype! They will be hand-painted by Simon with an original design. Holy guacamole! You've earned naming rights for one of our Gani! Use it wisely...You've got naming rights for one of our Gani AND you get to determine its super power.